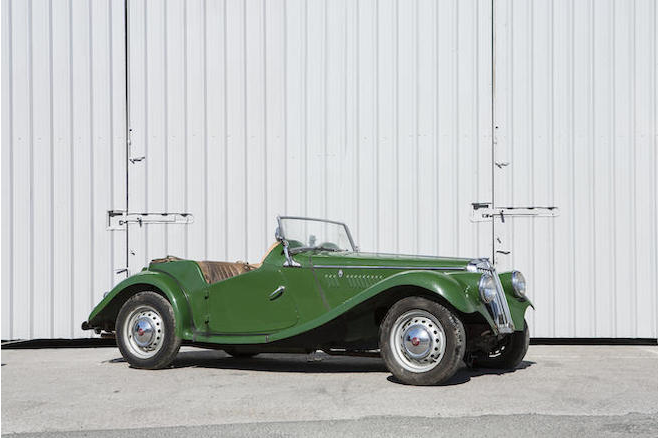 The MG Midget TF 1250 Roadster was first introduced in 1953. 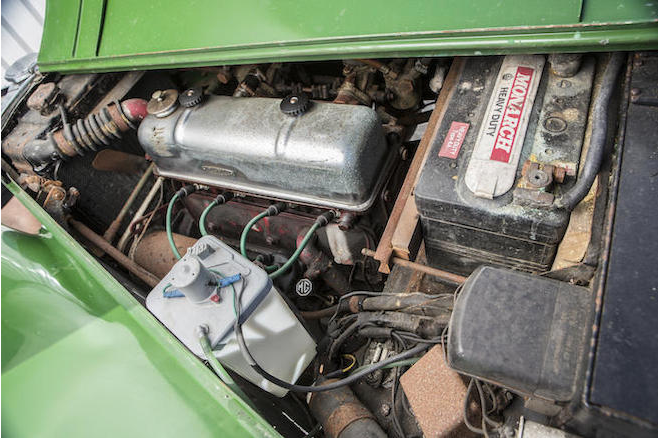 It featured a set of improvements over its predecessor the TD in having a pressurized cooling system with the radiator now a separate assembly from the radiator grill, the XPAG engine having a its compression ratio raised to 8.1:1. 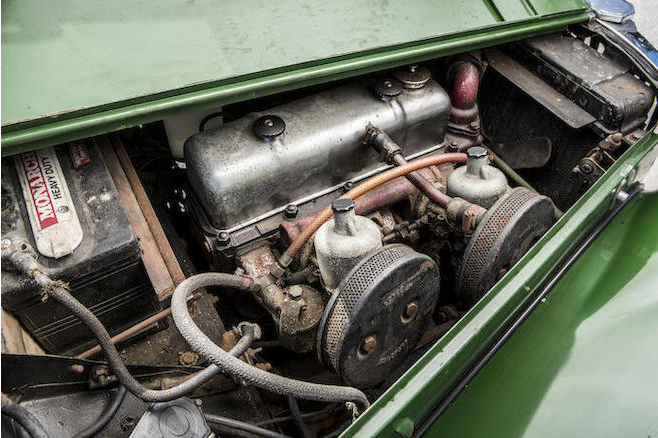 The valves were enlarged as were the carburettors to give the engine 57.5bhp at 5500rpm. 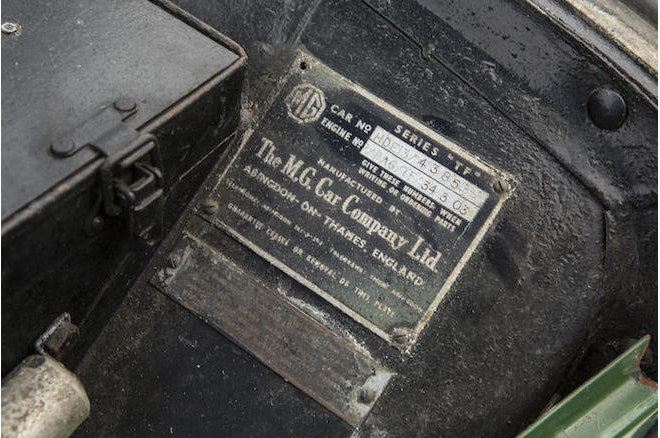 Six thousand two hundred of the MG Midget TF 1250 were made up until mid 1954 when they were superseded by the MG Midget TF 1500 which had a larger version of the engine. 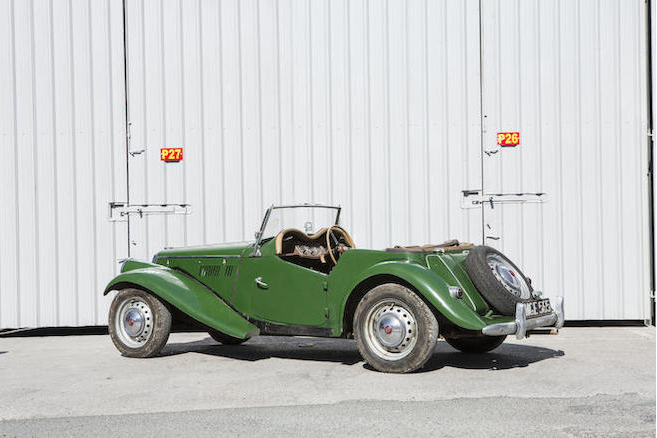 Although the MG Midget TF was really intended as an interim model pending the release of the MGA there are those of us who prefer this older style car which is more like a Morgan with character that the more modern MGA could not really deliver. The Barn Find on offer comes from a deceased estate. The passenger seat is missing and the engine is reported as seized, so there will be the need for a very complete stripping down of the car but since these older MG’s are relatively easy to dismantle that should not pose too many problems. 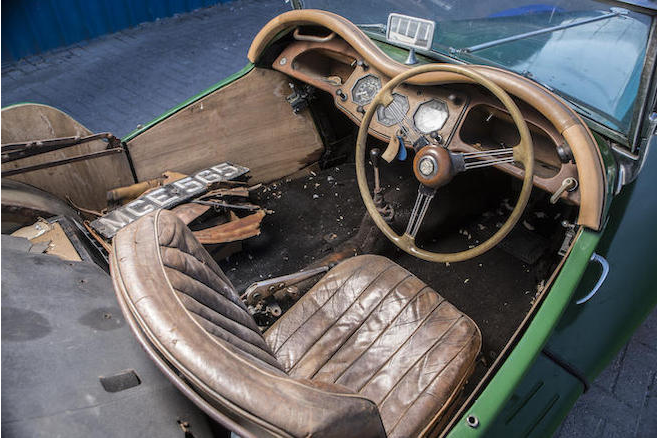 Once restored the car can be expected to have a re-sale value around four times the asking price for this barn find. You will find a restored example for sale to give an idea of potential value if you click here. You can find the sale page for this barn find if you click here. And below is a video of a restored car in action including a “behind the wheel” segment to whet your appetite.